Asus has been already updated it Zenfone Max pro M1 with April Android security patch level, but still some users can’t update to it. 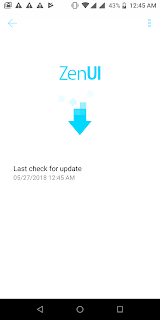 For updating it you have to just wait and it will automatically get software update notification. This update will improve fingerprint scanner speed, camera and sound quality, and overall device and battery performance.